You don't need to spend big bucks to get a gorgeous, organic face mask. You can make one at home for pennies and all you need are two very simple, household ingredients. Simply mash them together in a bowl and you have one healthy, tasty and totally natural face mask. Use your fingers to apply it to your face (it's a bit slippery so you'll need to do a bit of rubbing in) and then sit back and relax for 15 minutes while it gets to work. Then just wash it all off using warm water. I think the texture takes a bit of getting used to especially if you tend to use shop-bought creamy masks but it's worth persevering. Bananas have long been used on skin for their moisturising and anti-inflammitory properties so this mask is especially beneficial if you suffer from dry skin. The antioxidants and potassium found in banana pulp are also great for treating skin problems such as warts and acne. And the oats are a perfect gentle exfoliator. You can add a tablespoon of honey to this simple homemade mask if you want added anti-inflammatory and anti-bacterial powers. 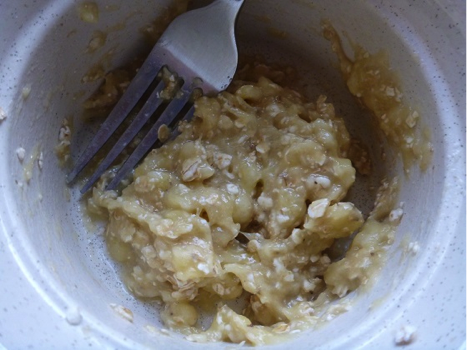 And alternatively, if you're really pressed for ingredients, you can forget the oats and just mash the banana. You'll still be left with softened, glowing skin. And fingers you can lick while you wait for it to work it's magic. 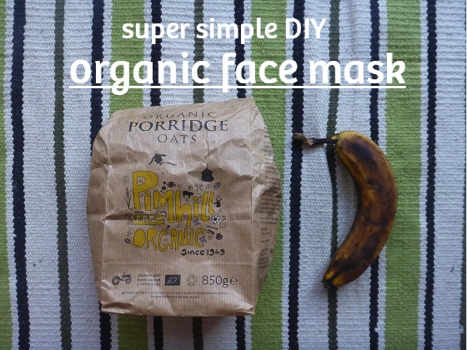 Have you got any other DIY face mask recipes that you love?